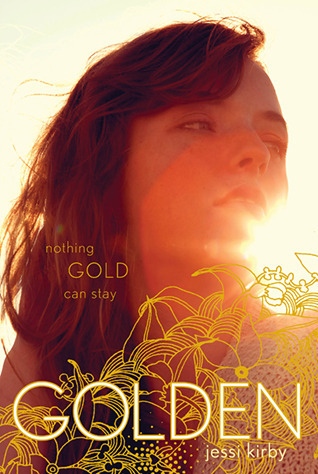 GOLDEN by Jessi Kirby is the type of story that will light a fire from deep within you and keep burning long after you've finished the last chapter. There are so many beautiful, wonderful things for me to express about this novel, but I am going to wait until my review is posted to go into full detail. Go ahead and pre-order a copy of this one, if you haven't already. It's a book you'll want to devour as soon as it's available, and then revisit Kirby's eloquent imagery to savor over and over again. I totally second this! I was eager to start it and when I did, I was surprised that I ended up reading it in one sitting. It's just SO GOOD. That's it. Maybe some CAPS. I love this feature! And this synopsis sounds great. Thanks for sharing. Looking forward to it. This book is one of the best I have read in a long time. I'm sad I don't have a copy to reread...that's how good it is!